petition: Demand a reduction in speed limits to protect wildlife in Victoria Falls! Demand a reduction in speed limits to protect wildlife in Victoria Falls! Reducing the speed limit on this road running through the Victoria Falls National Park will save the lives of countless animals currently being injured and killed by vehicles driving too fast. The lives of tourists travelling on this road are also at risk. Something the government of Zimbabwe has to take into account along with the high death toll of wildlife. Last night in Victoria Falls, Zimbabwe, a pregnant buffalo cow was hit by the bus of a local tour operator on Park Lane, a main road leading from the town center to the entrance of the Zambezi National Park. This road was opened by the President of Zimbabwe, Robert Mugabe and has been designated as an 80km/h zone and cannot be changed. This is despite the fact that it runs through the Victoria Falls National Park and has resulted in many head on collisions between motorists and wildlife. 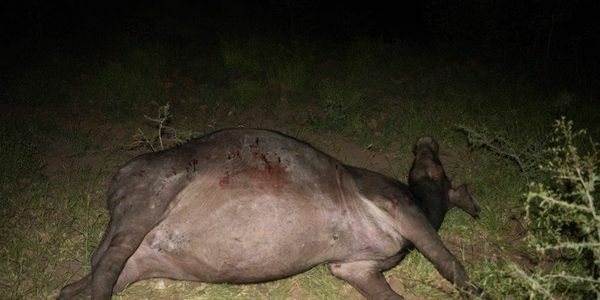 Elephant, buffalo, warthog, and antelope are regular victims of speeding some killed like this buffalo and her unborn calf others badly injured. If the speed limit is reduced to a minimum of 60km/h or 50km/h as is in most national parks it would drastically improve the situation by reducing the number of road traffic accidents involving wildlife. Thereby saving countless lives of innocent animals.